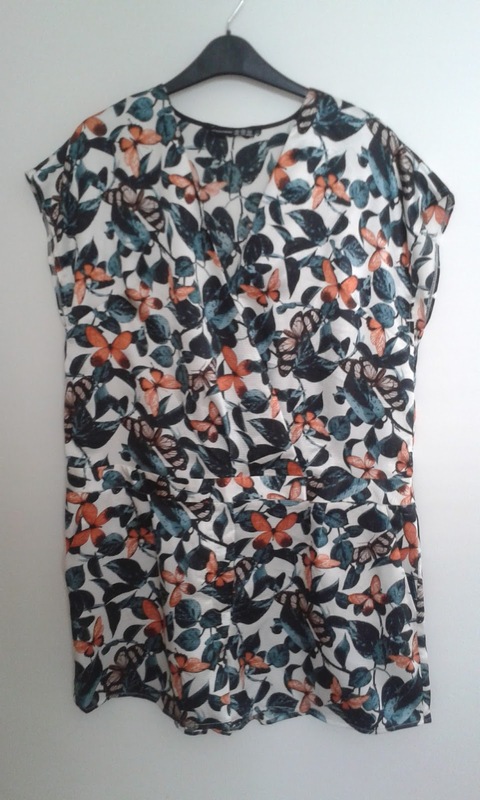 This is one of those finds that I really enjoy, I had admired the print on this playsuit but knew I would never wear it! Forgotten about. 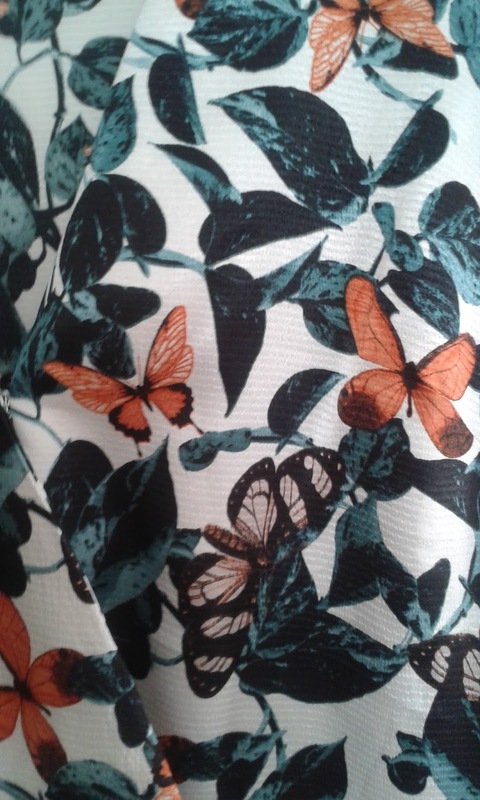 But during a visit to Glasgow I found it, reduced to £1 on a sale rail. I was thinking there may not be enough fabric in just 1 of them to make anything!? So luckily there were 2 for me to buy. 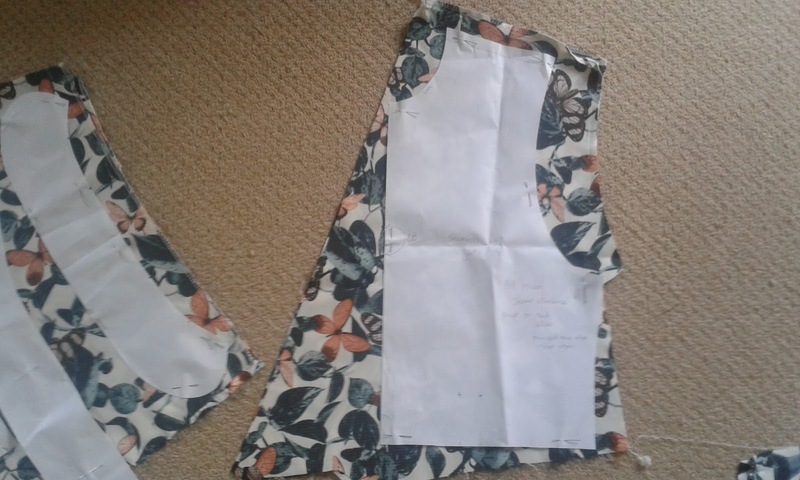 The challenge of this refashion was figuring out the cutting layout for the pattern pieces? It was just like a big puzzle. 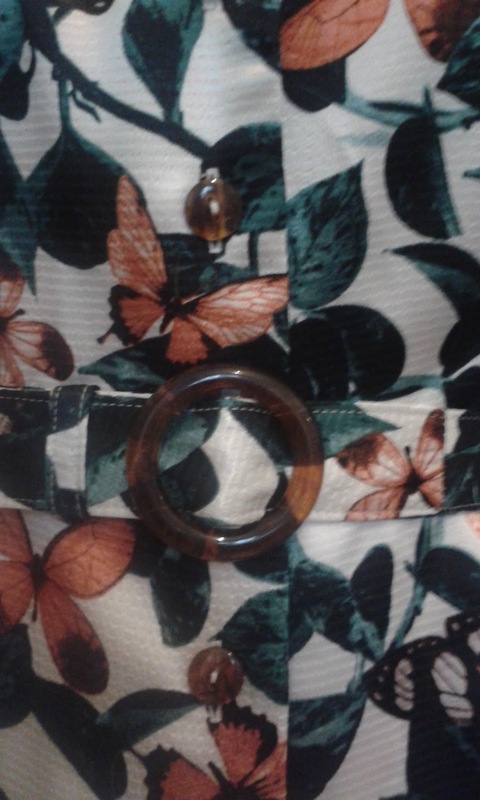 For a look at how I did this, have a look here! 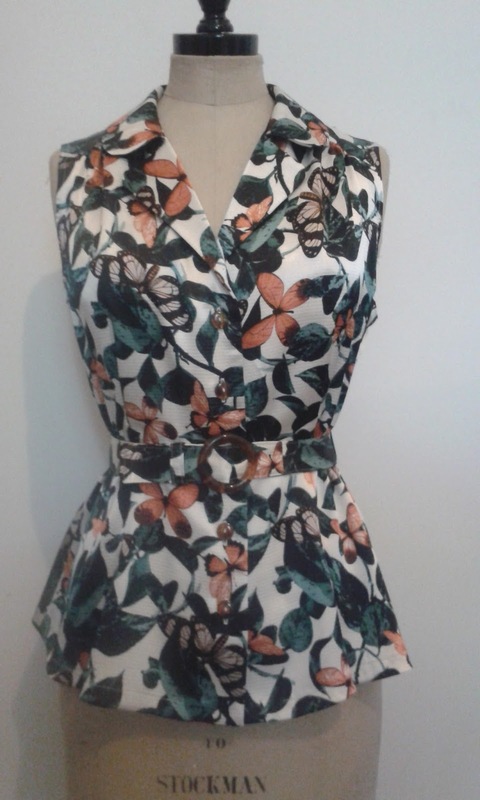 If I had been fortunate enough to have found the playsuit in my own size I would simply have removed the shorts part and resewn the bottom band, leaving the top part as a wrapover top. I like the tailored look. Very nice and neatly done. Super cute!!! What an amazing job!